A person may sell his chametz to a non Jew for the duration of Pesach, and after writing a bill of sale, he may leave the chametz in his home without transgressing the prohibitions of not seeing or having chametz, since the chametz no longer belongs to him. 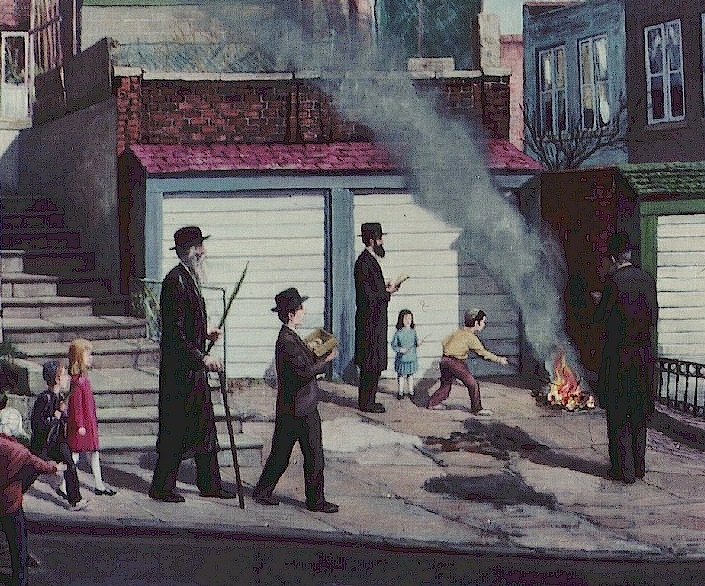 On the morning of the eve of Pesach the Chometz that wasn’t sold is burned. Rabbi Lazar hands over the bills of sale to Rabbi Itzchak Hazan, the head rabbi of Chabad in Rome.